Free Shipping Included! 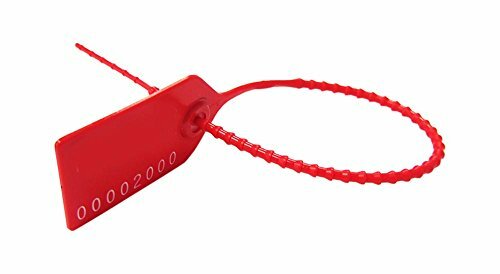 Cambridge Security Seals Medium Pull Tight, Red (MPT00101) by Cambridge Security Seals at SMIFCU. MPN: MPT00101. Hurry! Limited time offer. Offer valid only while supplies last. The css medium duty pull tight is an industry leading plastic security seal. It's perfect to secure food carts, beverage carts, and healthcare boxes. The css medium duty pull tight is an industry leading plastic security seal. It's perfect to secure food carts, beverage carts, and healthcare boxes. Available in 6", 8" and 10" length for tamper-evident security applications. The cssmpt is easy to apply and remove by hand. 1000 seals per box. Red. Clean break design ensures that individual seals detach from the strappy without plastic waste.